Trust Across America-Trust Around the World continues to reach new milestones in its mission to help organizations build trust. 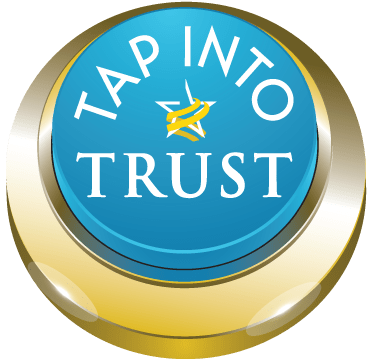 Commenced a movement called TAP INTO TRUST, a set of global Principles to help organizations of any size elevate stakeholder trust. None of these initiatives would have been possible without collaboration. As our Trust Alliance grows, our members are working side by side to elevate trust in organizations around the world. If you lead an organization this document will provide the framework to begin the process of elevating trust. Barbara Brooks Kimmel is the CEO and Cofounder of Trust Across America-Trust Around the World whose mission is to help organizations build trust. A former consultant to McKinsey & Company, she also runs the world’s largest global Trust Alliance and is the editor of the award- winning TRUST INC. book series. In 2017 she was named a Fellow of the Governance & Accountability Institute, and in 2012 she was recognized as one of “25 Women who are Changing the World” by Good Business International. She holds a BA in International Affairs from Lafayette College and an MBA from Baruch at the City University of NY. You may also join our Constant Contact mailing list for updates on our progress. Copyright (c) 2018, Next Decade, Inc.